For a long time, the Ubuntu family has had three members–Ubuntu, Kubuntu and Xubuntu (sorry Edubuntu; we’re not counting you). But that may change, with a new project, Lubuntu, vying for official endorsement by Canonical. Here’s a look at Lubuntu, and thoughts on what its future may hold. The Lubuntu project, which was established a year ago as a community endeavor, aims to create a lightweight Linux distribution based on Ubuntu. Towards this end, it uses the LXDE desktop environment in combination with the Openbox window manager to keep the demand on system resources low. Hoping to see for myself what Lubuntu was all about, I downloaded a recently released live image of the distribution, based on Lucid Lynx alpha 2, and booted it up in VirtualBox. I wouldn’t call these icons and color scheme unreasonably gorgeous, and the theme looks a little too techno-geeky for my tastes, but it’s still a lot prettier than Windows XP. Exploring Lubuntu’s application stack, I discovered that most of the software that comes installed by default diverges from that of regular Ubuntu. Lubuntu ships with Firefox, Pidgin, Transmission and Synaptic, but the similarities end there. It uses wicd as its connection manager (although that’s set to be replaced with NetworkManager and nm-applet), Sylpheed for email, Abiword for word processing and SMPlayer for video playback. A list of the application stack in its entirety is available here. While Lubuntu’s application stack may be unfamiliar to most users of normal Ubuntu, it nonetheless appears pretty complete, with most basic functionality covered. Utilities for configuring the system are a little thin, and it lacks a complete office suite (Abiword is great for word processing, but it doesn’t do presentations or spreadsheets like OpenOffice), but it would satisfy the needs of most computer users. And more software, of course, is only an apt-get away. The obvious competitor for Lubuntu’s niche is Xubuntu, an official Ubuntu flavor based on the Xfce desktop environment and designed for less powerful or older hardware. I’ve always liked Xubuntu, and Xfce in general, but I’ve never been overly impressed with its performance. It’s a bit lighter than regular Ubuntu and Gnome, but it’s never blown me away with its speed. When I need a truly lightweight system for use on old hardware, I go with (now apparently defunct) Flubuntu, which uses Fluxbox for its desktop environment. But there’s hope that Lubuntu will deliver where Xubuntu has failed by providing a truly lightweight version of Ubuntu. Linux Magazine found last fall that Lubuntu uses only about half as much memory as Xubuntu when installed to hard disk. That’s a big improvement. Moreover, I was able to get Lubuntu to boot–into the live environment, no less–and run reliably with as few as 128 megabytes of RAM allocated in VirtualBox. That’s also encouraging. A lot of work remains to be done on Lubuntu to make it stable and bring it up to speed with the other Ubuntu flavors. But so far, it’s looking very impressive and may finally provide the truly modern and functional, yet lightweight, distribution that many Ubuntu users have been looking for for years. I don’t understand this fascination with Lxde. I keep seeing talk about it, but anytime I’ve tried it I’m surprised at how almost Windows 3.1 it looks. Poor icons and blocky interface are not appealing to me at all. I’ve used xubuntu before, and quit using it because it after a few appeareance tweaks it leeched more ram than ubuntu without its compiz effects. So for me it is an useless distro, as xfce has less to offer than gnome. I always keep a light window manager in my Kubuntu installs just in case something brakes, especially when I run the development version in a test partition, like I am doing now with Lucid. I love Lubuntu for that. It is a very light install (lubuntu-desktop only installs a few packages), it runs incredibly fast, and it integrates quite well with the KDE applications. I think it’s a nice safeguard, especially for new users, to have a light alternative in case things go south. I would like to see how Lucid-based Lubuntu will shape up. I worry that the use of grub2 will detract from the speed and beauty of lxde. Grub2 just isn’t mature yet. I am currently using the lxde netbook edition of Mandriva 2010 on my netbook. This is a fine German re-make of what is arguably one of the best mainstream desktop Linux systems today. For my desktop, I also use Mandriva as my main production platform – with good old gnome of course. I’ve always thought this distro was great for netbooks too since it is so lightweight and fast. I have thought, since XFCE 4.6 (and even the later 4.4.x) builds, that XFCE seems to have lost its way a bit in trying to “compete” with Gnome and KDE. Add to this that the Xubuntu team continually adds “features” to their default packages, and I begin to wonder whether anyone truly wants a lightweight window manager. Or, at the least, a lightweight experience. Sure, LXDE and Lubuntu will provide the lightweight many are looking for on their older hardware. But, let’s face it… it doesn’t really look good or “cool”. Personally, I think Xubuntu should cede the lightweight title to Lubuntu (though there are others, Lubuntu is IMO the most user-friendly and complete). Xubuntu has not been lightweight since 8.04. @Michael: I think there is a limit of course as to how cool it can be made look, but there is a lot of room for easy improvements I think. I think they should have looked into crunchbang linux “http://crunchbanglinux.org/” myself. It seems a much cleaner ubuntu derivative than lubuntu. I think that the lxde is just garbage, if you want a light, fast ubuntu derivative then crunchbang linux is for you. Personally for lightweight ubuntu I cannot go past Crunchbang. I have it running on an old acer tablet with 256mb ram and it works a treat. Can even do youtube quite reasonably….just need to get the low battery notification working now. @Adam and Shane. I am personally reluctant to run projects that seem to be a one-geek trick, like #! seems to be (please correct me if I am wrong). The fact that I can just install lubuntu-desktop from ubuntu makes me feel a lot more confident of using this moving forward. I can even do a minimal net-install, get a barebone console ubuntu, and add lubuntu-desktop. I think there is a lot of value in that. I wish #! had gone that way! LXDE is a nice, small, effective desktop for low-spec’ed equipment. I’ve run it on several Win2000-era laptops with 64-128MB RAM, and it chugs along nicely. Heavier applications have to be replaced with ones that have fewer bells and whistles, but you can get a surprisingly functional, modern desktop on hardware that won’t run WinXPSP3 due to low resources. You can’t complain about that, can you? Talking of hardware, the simplest, most rewarding hardware upgrade for these 10 year old machines is buying some cheap ram (assuming you can find it). Don’t care , you’ll get a nice surprise in artwork on the next Alpha (I know because I’m a Lubuntu team member). I tried lxde when it first popped up, but stopped using it due to a bug in recognizing file types in pcmanfm. (That is still there a year latter in 9.10! But not in source snapshots any more thankfully.) 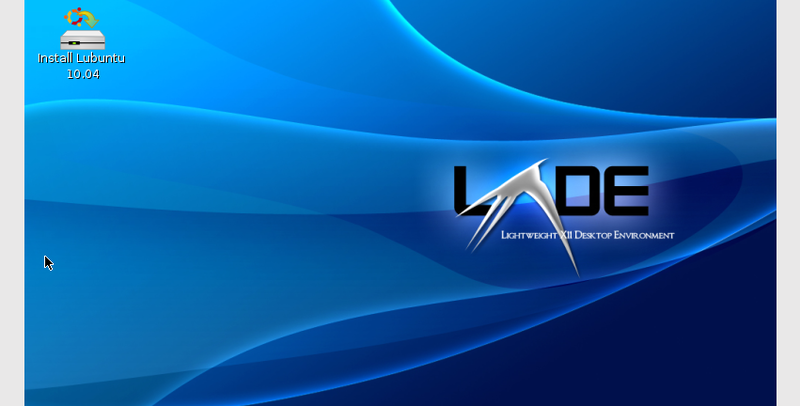 Over all lxde is quite capable, and it can be made to look better. However the slow movement on something as critical as the filemanager is worrisome. It has also been recently funded by Samsung, because it scales well all the way down to a smartphone. I think it is more mature than lxde and very functional. Among other things they have a built in profiler so they can check for regressions in performance every time they modify their code. Neat! Xubuntu is not lightweight not because of XFCE but because of the myriad of gnome apps in comes with, which end loading gnome libs eating your memory in the end. I hope Lubuntu avoids falling this trap again. As for light apps there is stuff like Midori for Browsing, Gnumeric for spreadsheets, SLIM for logging in, etc. I’m also interested in the e17 usage for Ubuntu Netbook Remix. Aehm …. Canonical officially calles 4 OS their own. Ubuntu, Kubuntu, Xubuntu and Ubuntu-Studio. I’m a satisfied Xubuntu user (I’ve been using it for right about a year now), but I’ve had my eye on Lubuntu for a little while. Once it goes official distro I’ll definitely have to check it out–but in any case, Lubuntu will have to work better for me than Xubuntu before I’ll consider switching. Lightweight apps are a good and wonderful thing, but if they don’t provide me the functionality I’m used to getting from the XFCE flavor, Lubuntu won’t quite cut it. Some folks may be turned off by the sheer leanness of Lubuntu 10.04, what with the meagre collection of installed apps. I myself had to install a number of my favourite apps including openoffice, wine, VLC nd xpad but it didn’t take a Herculean effort to do so. The bottom-line is that Lubuntu is fast, stable and based on the LTS Ubuntu edition. IMHO, it is much better than Peppermint OS. I have some old laptops that xubuntu has worked “ok” on, but I always revert back to xp because the ease of setup outweighs the VERY SMALL increase in speed. I recently installed ubuntu on my new laptop via virtualbox because ktechlab lets me save and/or diagrams to graphics for school. I noticed that Lubuntu is actually shown in symantic, so I thought i would give it a whirl. I know I have gnome installed too, but adding Lubuntu to an existing gnome install is still EXTREMELY FAST, even working in virtualbox. I am very impressed, and I may decide to revisit this on some of my older hardware. I may be mistaken, but even by installing this way, you get the speed because of the low ram use of lxde, and the reliability of the extra gnome packages. I think it’s a win/win!